Forward Ken Ilso has become the second Danish player to join Adelaide United during the close-season. The 31-year-old is the third signing made by coach Marco Kurz ahead of the 2018-19 campaign. He arrives following a spell with Malaysian Super League outfit Penang, and Kurz feels he can make a difference up front. Ilso, who has signed a one-year deal, has had success in Asian in recent times. The Denmark U-21 international netted 35 goals in 51 outings for Home United in Singapore and last year scored 15 in 18 games in Malaysia with Kedah. He's followed fellow Dane Michael Jakobsen in joining the Reds, with defender Jakobsen having moved across from Melbourne City. Kurz has more recruiting to do, though, with eight players having left United since the end of last season. 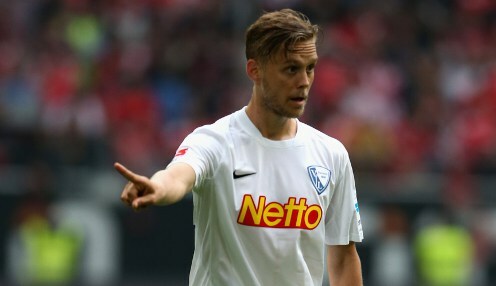 Speaking of Ilso, who has played more than 150 games in the Danish Superliga and spent two years in Germany with Fortuna Dusseldorf, the coach said: "Ken is a very good player and someone with a lot of offensive abilities. "I have known of Ken for a few years while he was playing in Germany and have always been impressed with his quality. Not only can he play as a striker, but he can also play as a creative midfielder behind the striker as well and this versatility is very good for any football team." Ilso, who began his career in the Dutch Eredivisie with Heerenveen in 2005, said he'd been trying for the past two years to engineer a move to the A-League. He added: "I want to make the new season better than what the team was able to achieve last season and I want to reach a high amount of goals, creating a lot of chances for my teammates too." Adelaide are 14/1 to win the Grand Final.